In two weekends you will learn the necessary basic details of the Classical Pilates Movement System, its Movement Patterns and how to teach Classical Pilates. In this episode Mat exercises will play the main part. Exercises on the reformer and the cadillac will be shown to understand the Mat exercises better. To practice the learned is part of this course/workshop. During the workshop we will make a planning for this. 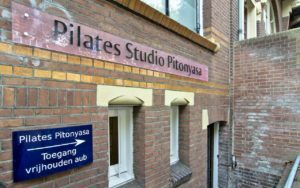 The workshop is most interesting for Pilates teachers who need more experience or would like to teach Pilates in a different way, without doing the exercises with the group. Pilates students can do the workshop as well. The only must is that you know about Pilates. Be aware that there is a maximum of 5 participants. Before the 1 st of June, no payment.